Chuck Jaws (Special L Type - B)(SJ08) - Taiki Industrial Co., Ltd. The chuck jaws - special L type - B (SJ08) is used in CNC lathe. For special dimensions, please download our special order form. 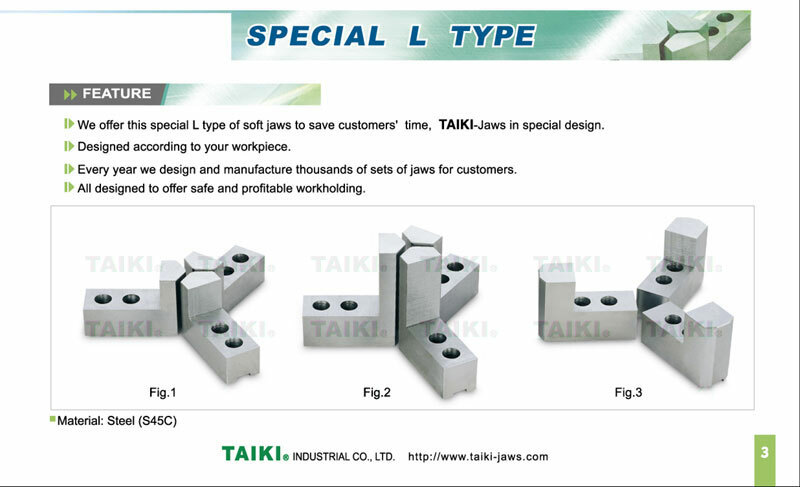 We offer this special L type of soft jaws to save customers' time, TAIKI - jaws in special design. Designed according to your workpiece. Every year we design and manufacture thousands of sets of jaws for customers.